clean and simple card design challenge. again, and I love this LJ911 Gears stencil! and then I used Stickles to highlight the one gear. It doesn't get more simple than this! Joyelle, This is a great CAS card! Thanks for playing along this month. What a fabulous masculine CAS card! Thanks for playing along with us once again! I'm linking your card on the Dreamweaver Stencils' Facebook page! Very cool and masculine! I do love this stencil. Thanks for playing along with us! Joyelle I love this card, clean, simple and elegant. the gear stencil is one of my favorites. thanks for playing along with us. Joyelle, my two favorite sets of products! Dreamweaver and Distress, you did a wonderful job on this, great card. Thanks for joining our CAS challenge! Fabulous technique Joyelle!! This is one of my "go-to" techniques. I am glad you discovered it and hopefully it will be yours too. 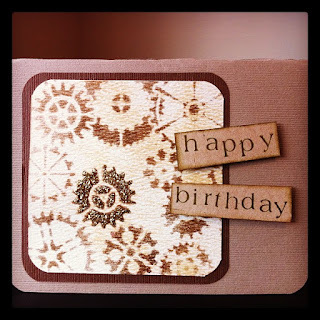 Thank you for playing along with Dreamweaver Stencils CAS challenge! !